You caught us! The folks at Bookmans Speedway have been scarfing around. And why not? It’s cold outside! Okay, we know that it’s REALLY cold across the country, but to us Desert Rats this is cold. We want to cover up in style. Bookmans Speedway has just the right scarf to set you apart. No boring wool here. We have unique prints in stand-out colors that you can’t find anywhere else. We know because we looked. Our buyers searched for the most current and exciting scarves they could find, one of a kind pieces that reflect the originality of our customers. Are you a Whovian? Check out our owl print scarves in a subtle deep blue, perfect for guys and gals. Maybe our leaping llamas in a variety of colors are more your style. How about a ride in a vintage carriage to enhance your love of all things antique? Show your artistic side in a multicolor floral, it’s the perfect pop of color to brighten your mood on a cloudy winter day. Guys, don’t think scarves are just for the ladies. Check out our solid scarves in a range of powerful, not showy, hues like soft grey, deep blue, easy to wear black and, for the more adventurous, dark purple. Looking to add pizazz to your look with a print scarf? Test drive our checks, stripes or swirl designs. If your scarf wearing is limited to the casual neck hang, never fear. 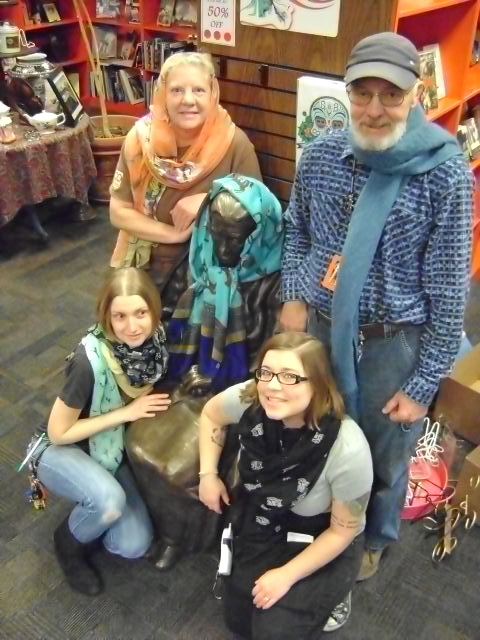 Our style-savvy staff is highly trained in scarfing. You don’t need an origami workshop to figure this out. We know all the different ways to tie, wrap, knot and drape any neck wear and will happy show you how. Don’t have scarf-a-phobia! Conquer your fear and head over because we have the scarf for you. That perfect piece of woven cloth is just the thing to complete any ensemble. 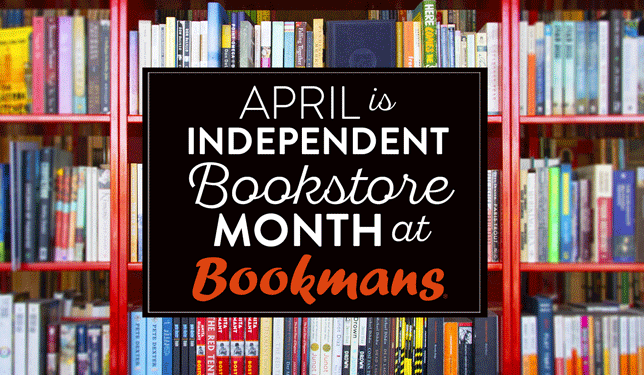 Preppy, Mod, Hipster, Punk, Hippie or Jock, we can all meet in harmony at Bookmans Speedway Scarfland. We will be waiting for you, just scarfing around.